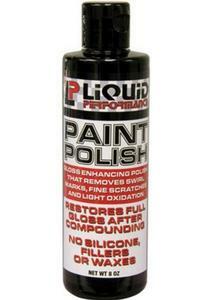 Liquid Performance Racing 769 Paint Polish - 8oz. Swirl mark reducer and gloss enhancing polish. 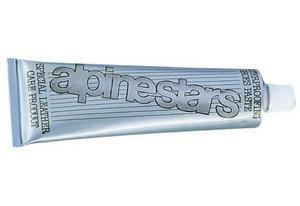 Restores full gloss after compounding or to remove fine scratches, swirl marks or light oxidation. Apply by hand or machine. Contains no silicone, fillers or waxes and is clearcoat safe. Will work on chrome, aluminum, plastic and rubber. 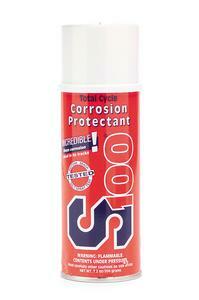 Helps prevent grey dulling, pitting rust and corrosion. Spray on and rub with a cloth. 7.4oz. Can For case order 12. 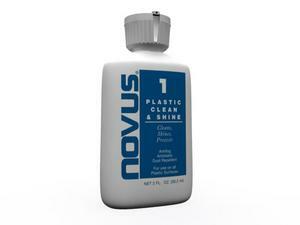 Novus 7026 Plastic Polish - #1 - 2oz. 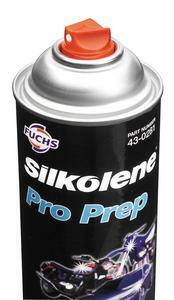 Silkolene 80149400477 Pro-Prep - 12.5oz. 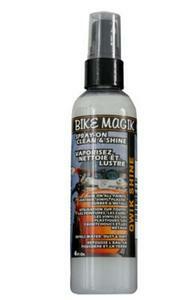 Bio-Kleen B02303 Bike Magik Qwik Shine - 4oz. 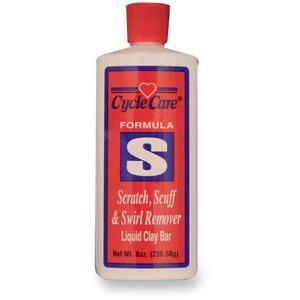 Cycle Care Formulas 77008 Formula S Scratch, Scuff and Swirl Remover - 8oz. Drag Specialties 3713-0060 Silicone Spray - 12oz. Protective spray formulated for use on metal, rubber and plastic surfaces. Gives plastic a new gloss. Prevents rubber from freezing. Prevents mud from sticking to surfaces. 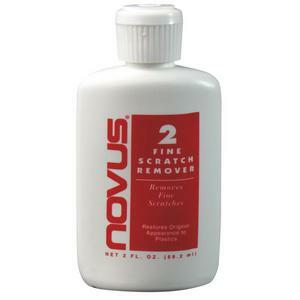 Novus 7033 Plastic Polish - #2 - 2oz. 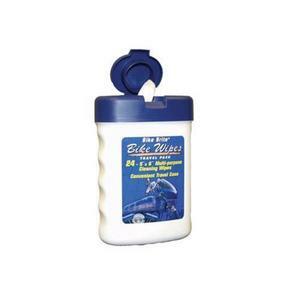 BikeMaster BM0770 Poly Wax - 8oz. 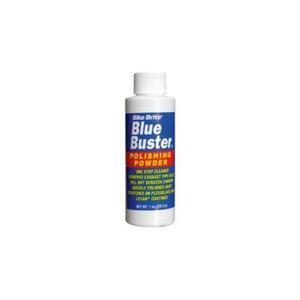 BikeMaster BM0769 Paint Polish - 8oz. 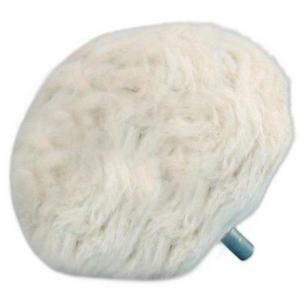 Drastically reduce your polishing time. Polish hard to reach areas. Soft, yet durable fibers made to last. Polish a wide range of metals and surfaces. Connects to any common drill. 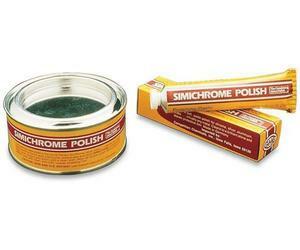 Competition Chemicals 390250 Simichrome Metal Polishing Paste - 8oz. Keeps boots looking new. Conditions and waterproofs the leather. Sold each. 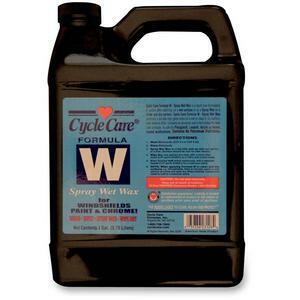 Cycle Care Formulas 66128 Formula W Spray Wet Wax - 1gal. Polishing powder for those old blue pipes. Wet towel and polish blue away; will not scratch chrome. Can be used on chrome, brass and stainless steel. 1oz. can, 24 per case; sold each. 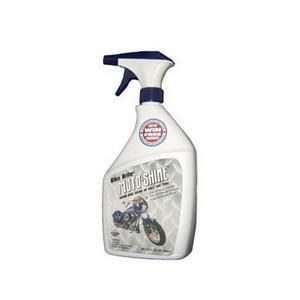 Bike Brite MC25000 Moto-Shine Bike Polish - 32oz. 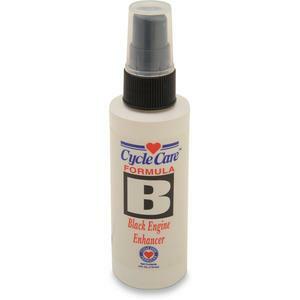 Cycle Care Formulas 44004 Formula B Black Engine Enhancer - 4oz. 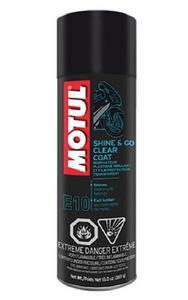 Motul 108093 Shine and Go - 13oz. Clear coat spray that restores the beautiful luster of painted and plastic surfaces. Lays down a dry film of protection that prevents dust and dirt from sticking on sprayed surfaces. Minimizes cleaning effort and leaves a beautiful shine.